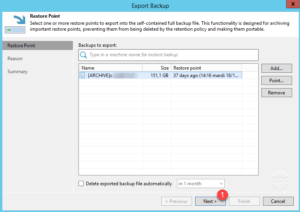 With version 9.5u4, a new feature has been added to Veeam which is the Export Backup. 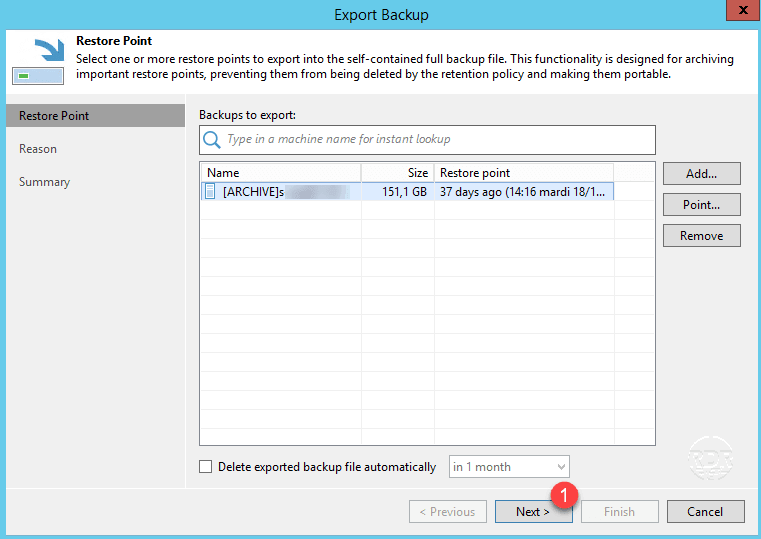 The export backup is used to extract (export) files from a backup, a restore point of a virtual machine. 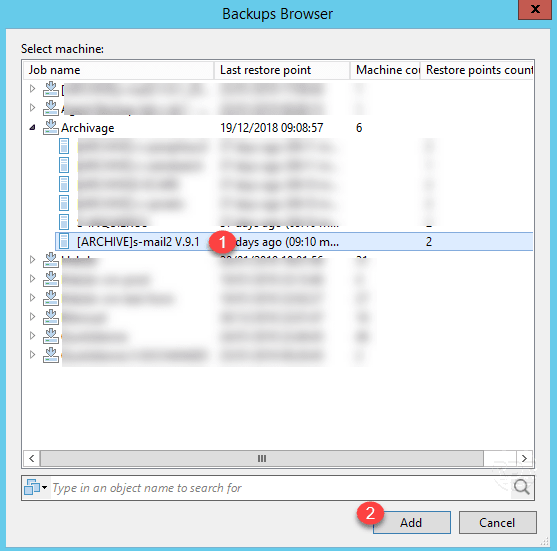 This feature can, for example, make it possible to extract from a backup chain a virtual machine that is deleted but that one wishes to keep to one side. 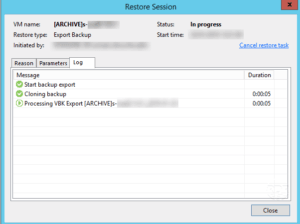 This makes it possible to export a backup of an application server an old version that one might need for consultation. 1. 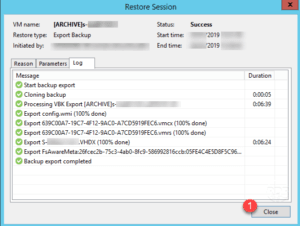 From the Veeam Console, click Export Backup 1 to launch the assistant. 2. 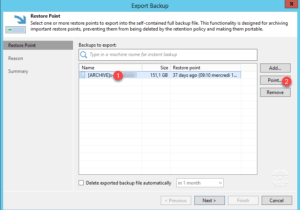 Click Add 1 to open the list of available backups. 3. 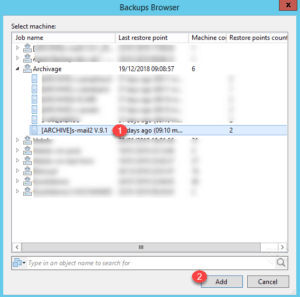 Select Computer Backup 1 and click Add 2 . 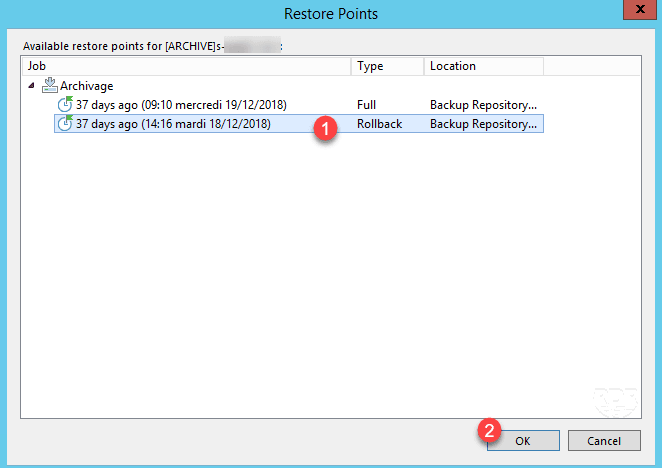 4. optional – it is possible to select a particular restore point, by default the last point will be used. 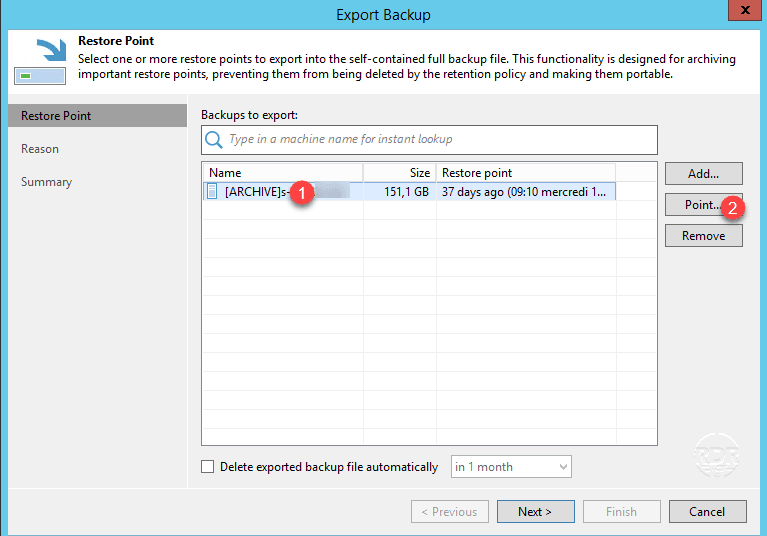 Select the backup 1 and click on Point 2 . 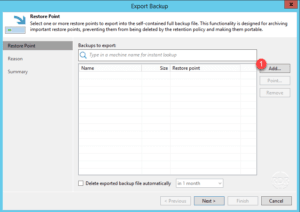 5. optional – Select save point 1 and click OK 2 . 6. Click Next 1 . 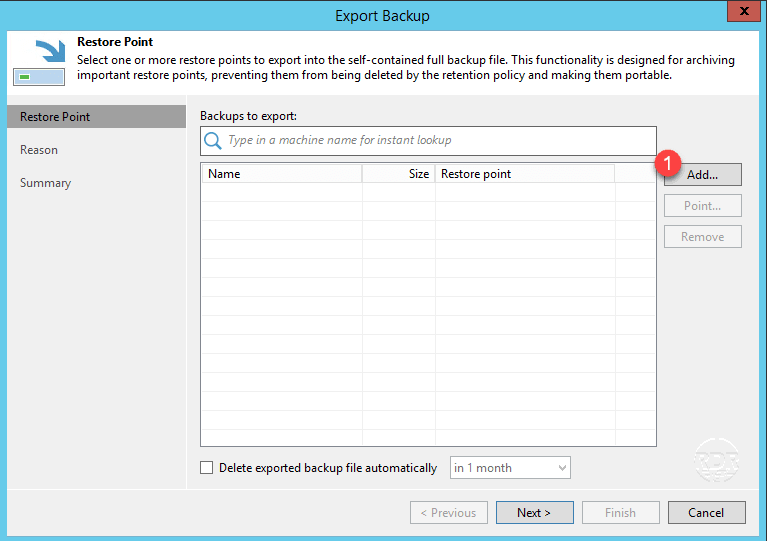 It is possible to configure a retention time for an automatic export deletion. 7. 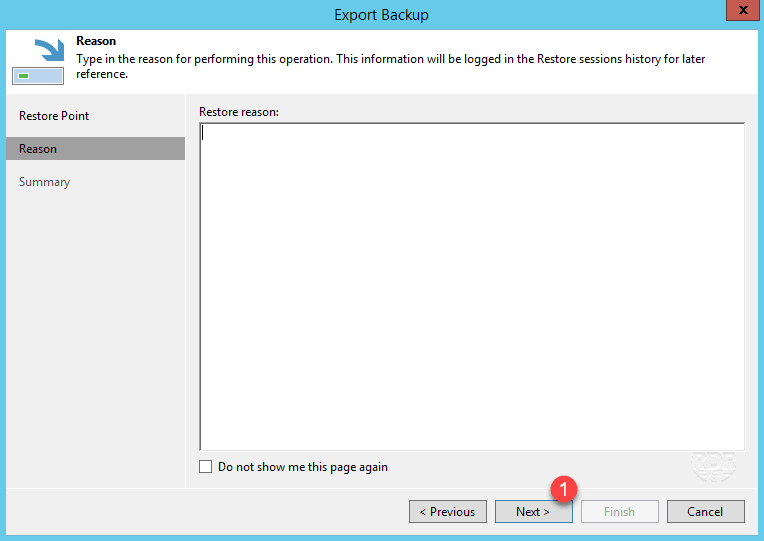 Indicate a reason if necessary and click Next 1 . 8. 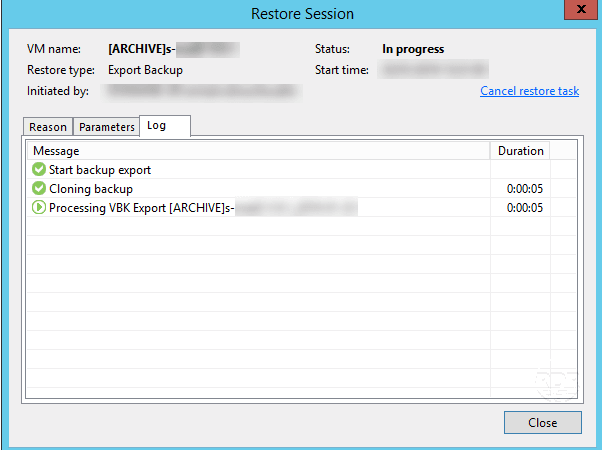 Click Finish 1 to start the Export Backup. 10. 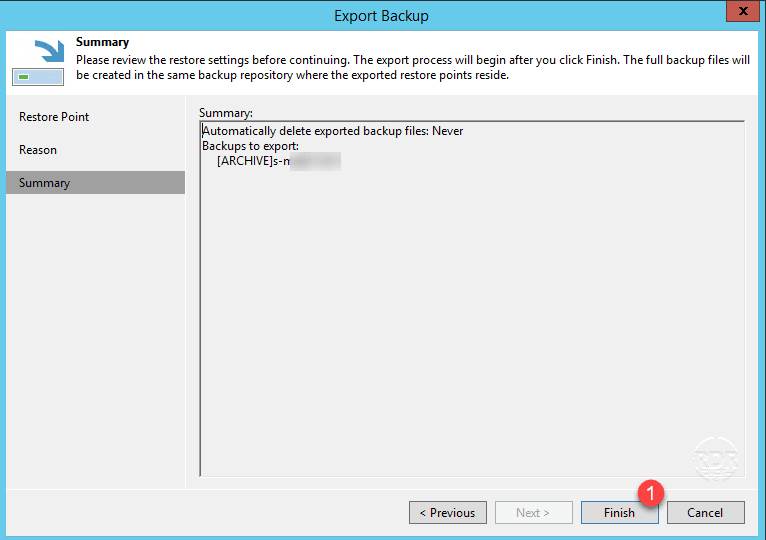 When the export is complete, click Close 1 . 11. 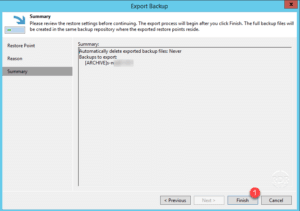 Go to Disk (Imported) 1 to access export 2 . 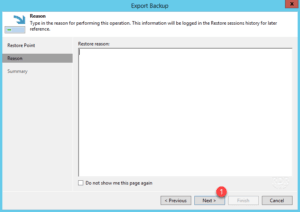 The files are physically located on the repository in a folder with the name of the extraction. 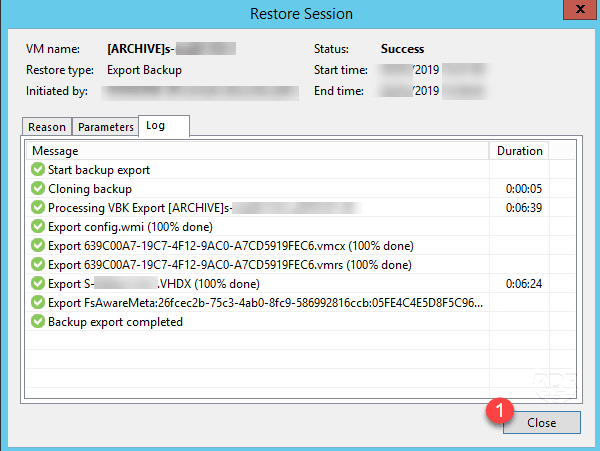 This new feature allows you to keep a backup of a computer at a specific time. 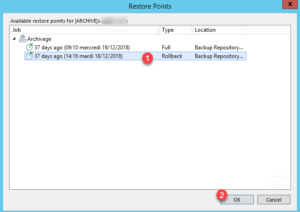 It is now easy to keep a virtual machine or a computer that is no longer running.